Registration: Sorry, registration for this event has closed. 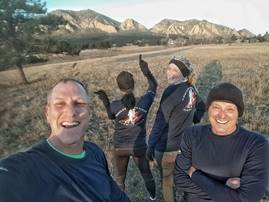 When: Thursday, May 3, 2018, 7:00-9:00 a.m.
Connect with fellow Boulder Chamber members and Boulder Chamber President & CEO John Tayer - hit the road and/or trail with the monthly meeting of the Boulder Chamber Running Club! 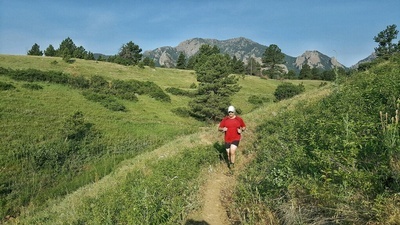 We will meet for a four mile tour around South Boulder. All running/jogging paces are encouraged to join in the fun – just register here so we know if you’re coming. 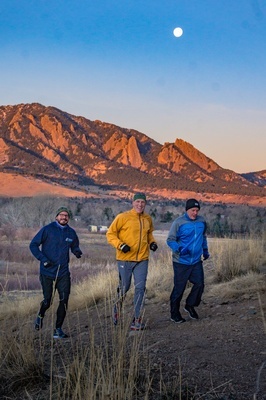 We will have representatives from the Bolder Boulder on hand to share some swag and encouragement to register for this annual kick-off to the summer running season. Free, open to all Boulder Chamber members. Please register so we know who to expect.